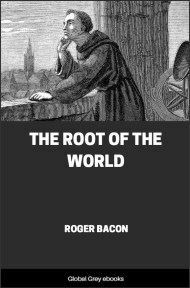 No book made a greater impact on the intellectual world of its first Victorian readers nor has had such an enduring influence on our thinking on science, literature, theology and philosophy. 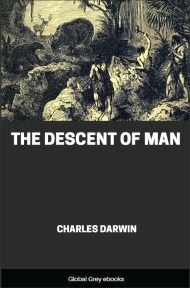 In The Descent of Man, Darwin addresses the crucial question of the origins, evolution and racial divergence of mankind, that he had deliberately left out of On the Origin of Species. And the evidence he presents forces us to question what it is that makes us uniquely human. 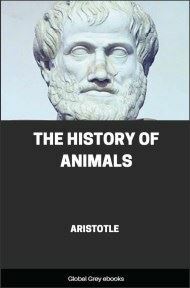 He who wishes to decide whether man is the modified descendant of some pre- existing form, would probably first enquire whether man varies, however slightly, in bodily structure and in mental faculties; and if so, whether the variations are transmitted to his offspring in accordance with the laws which prevail with the lower animals. Again, are the variations the result, as far as our ignorance permits us to judge, of the same general causes, and are they governed by the same general laws, as in the case of other organisms; for instance, by correlation, the inherited effects of use and disuse, etc.? Is man subject to similar malconformations, the result of arrested development, of reduplication of parts, etc., and does he display in any of his anomalies reversion to some former and ancient type of structure? 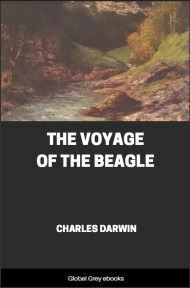 It might also naturally be enquired whether man, like so many other animals, has given rise to varieties and sub-races, differing but slightly from each other, or to races differing so much that they must be classed as doubtful species? How are such races distributed over the world; and how, when crossed, do they react on each other in the first and succeeding generations? And so with many other points. The enquirer would next come to the important point, whether man tends to increase at so rapid a rate, as to lead to occasional severe struggles for existence; and consequently to beneficial variations, whether in body or mind, being preserved, and injurious ones eliminated. Do the races or species of men, whichever term may be applied, encroach on and replace one another, so that some finally become extinct? We shall see that all these questions, as indeed is obvious in respect to most of them, must be answered in the affirmative, in the same manner as with the lower animals. But the several considerations just referred to may be conveniently deferred for a time: and we will first see how far the bodily structure of man shews traces, more or less plain, of his descent from some lower form. In succeeding chapters the mental powers of man, in comparison with those of the lower animals, will be considered. THE BODILY STRUCTURE OF MAN. It is notorious that man is constructed on the same general type or model as other mammals. All the bones in his skeleton can be compared with corresponding bones in a monkey, bat, or seal. So it is with his muscles, nerves, blood-vessels and internal viscera. The brain, the most important of all the organs, follows the same law, as shewn by Huxley and other anatomists. Bischoff (1. 'Grosshirnwindungen des Menschen,' 1868, s. 96. 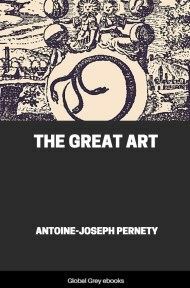 The conclusions of this author, as well as those of Gratiolet and Aeby, concerning the brain, will be discussed by Prof. Huxley in the Appendix alluded to in the Preface to this edition. ), who is a hostile witness, admits that every chief fissure and fold in the brain of man has its analogy in that of the orang; but he adds that at no period of development do their brains perfectly agree; nor could perfect agreement be expected, for otherwise their mental powers would have been the same. Vulpian (2. 'Lec. sur la Phys.' 1866, page 890, as quoted by M. Dally, 'L'Ordre des Primates et le Transformisme,' 1868, page 29. ), remarks: "Les differences reelles qui existent entre l'encephale de l'homme et celui des singes superieurs, sont bien minimes. Il ne faut pas se faire d'illusions a cet egard. L'homme est bien plus pres des singes anthropomorphes par les caracteres anatomiques de son cerveau que ceux-ci ne le sont non seulement des autres mammiferes, mais meme de certains quadrumanes, des guenons et des macaques." But it would be superfluous here to give further details on the correspondence between man and the higher mammals in the structure of the brain and all other parts of the body. It may, however, be worth while to specify a few points, not directly or obviously connected with structure, by which this correspondence or relationship is well shewn. 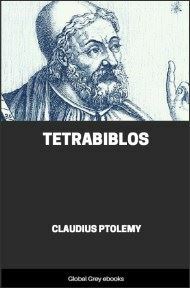 Man is liable to receive from the lower animals, and to communicate to them, certain diseases, as hydrophobia, variola, the glanders, syphilis, cholera, herpes, etc. (3. Dr. W. Lauder Lindsay has treated this subject at some length in the 'Journal of Mental Science,' July 1871; and in the 'Edinburgh Veterinary Review,' July 1858. ); and this fact proves the close similarity (4. A Reviewer has criticised ('British Quarterly Review,' Oct. 1st, 1871, page 472) what I have here said with much severity and contempt; but as I do not use the term identity, I cannot see that I am greatly in error. There appears to me a strong analogy between the same infection or contagion producing the same result, or one closely similar, in two distinct animals, and the testing of two distinct fluids by the same chemical reagent.) of their tissues and blood, both in minute structure and composition, far more plainly than does their comparison under the best microscope, or by the aid of the best chemical analysis. Monkeys are liable to many of the same non-contagious diseases as we are; thus Rengger (5. 'Naturgeschichte der Saugethiere von Paraguay,' 1830, s. 50. ), who carefully observed for a long time the Cebus Azarae in its native land, found it liable to catarrh, with the usual symptoms, and which, when often recurrent, led to consumption. These monkeys suffered also from apoplexy, inflammation of the bowels, and cataract in the eye. The younger ones when shedding their milk-teeth often died from fever. Medicines produced the same effect on them as on us. Many kinds of monkeys have a strong taste for tea, coffee, and spiritous liquors: they will also, as I have myself seen, smoke tobacco with pleasure.